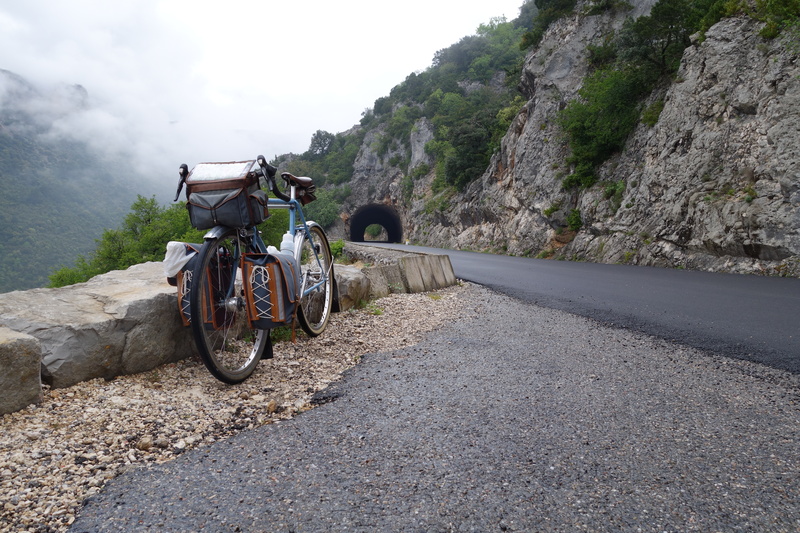 I took most of the month of May off and went to Europe to visit friends and ride my bike. 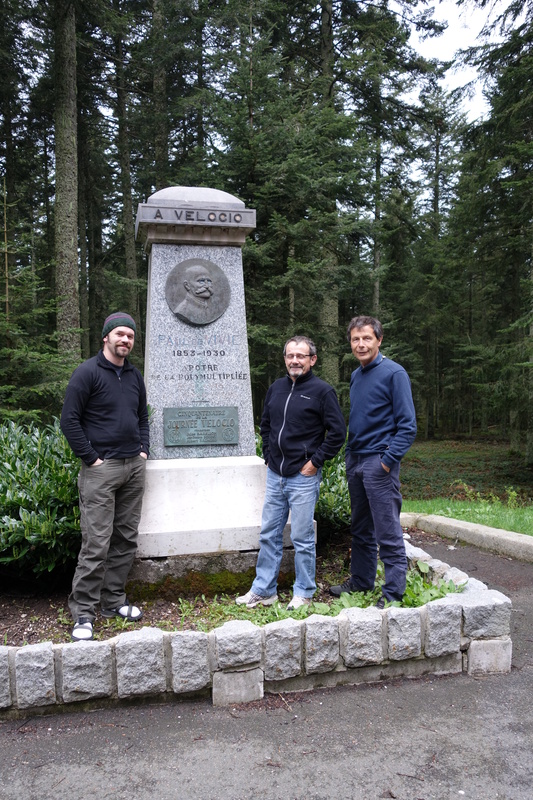 First up, after a couple days of socializing in Guingamp, was a tour of the Ardèche region with three friends. On the way to the start of our tour in LaLouvesc, we drove over the Col de la République, formerly known as the Col du Grand Bois. We stopped and took a photo at the monument to Vélocio. 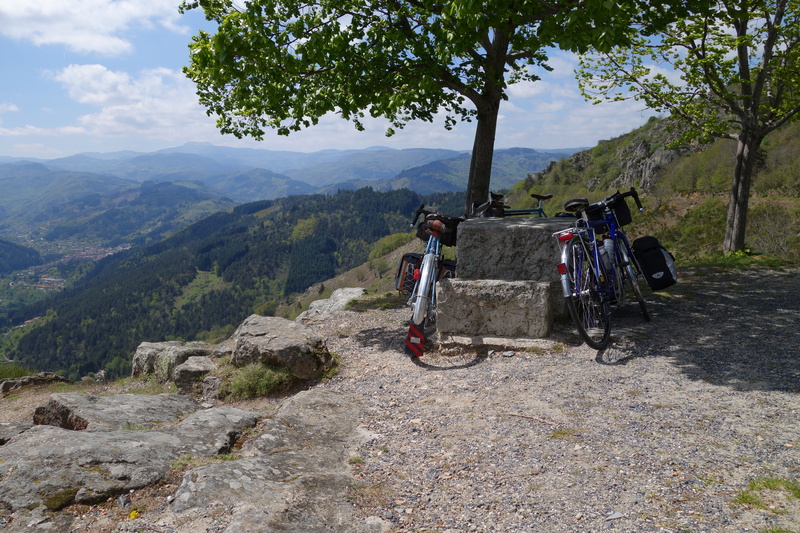 Our bikes at a lovely pull-out spot overlooking the ruins of the Chateau de Rochebonne. 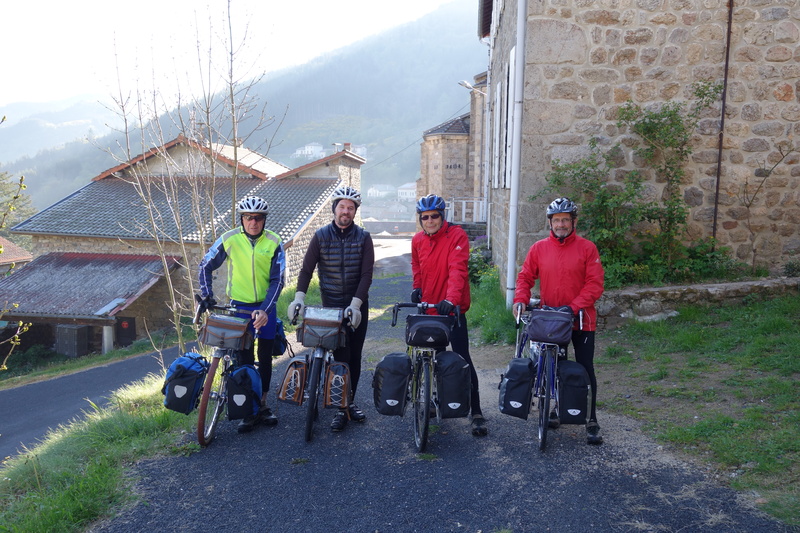 A chilly morning on the second day, leaving the town of Dornas. Proof that 650B, 26″, and 700C can peacefully coexist! 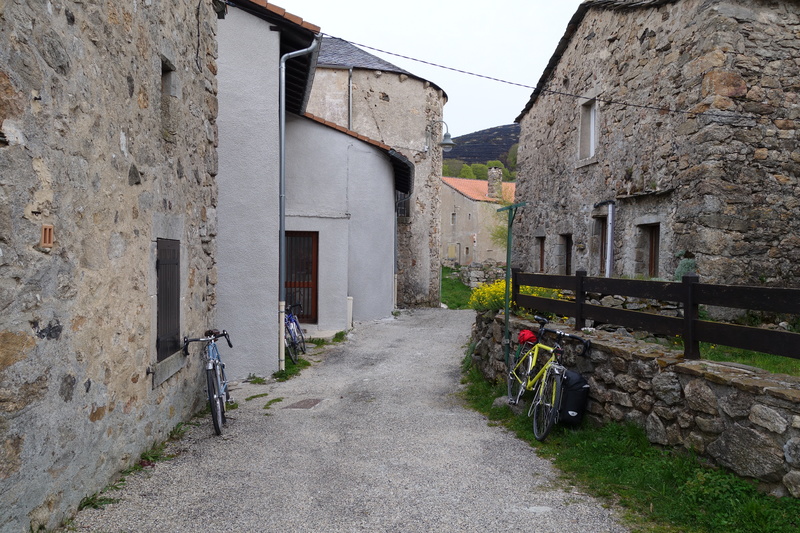 A busy street outside our home for the night, in the village of Loubaresse. My bike resting after climbing up the valley wall from the river. Gorges de l’Ardèche. Gorges de l’Ardèche. I think this is the only rain we had all week. 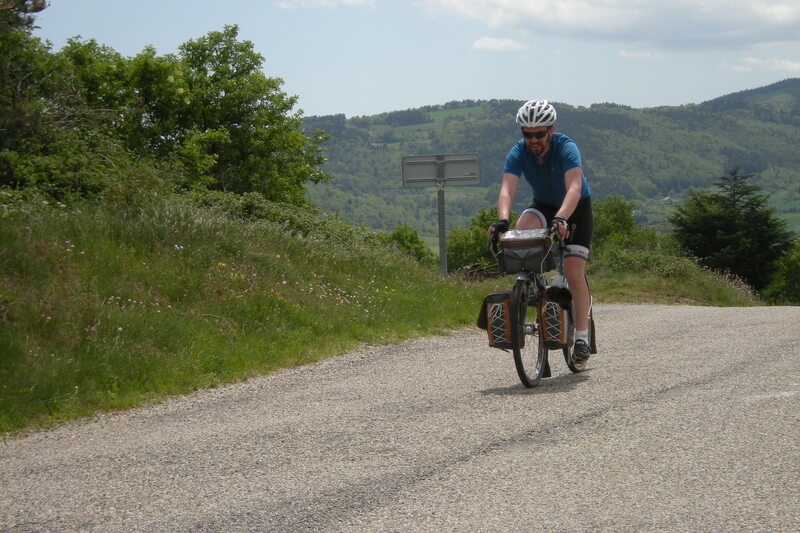 Random shot of me, somewhere near the end of the trip, cresting ANOTHER hill! This entry was posted on September 17, 2014 by Thompson Custom Bicycles. It was filed under Uncategorized .